Happy Hooking, now in its third edition, is a very readable book loaded with valuable information on anchoring tackle, anchoring technique, tying up and rafting, anchoring etiquette, as well as the occasional anecdote - simply stated a must have! 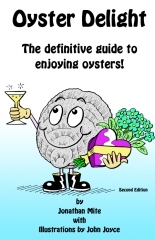 (if we don't say so ourselves) It is also the most up-to-date anchoring book out there! Unless you are far offshore, at some point or another you are going to need to park your boat. Just like knowing how to stop your car before you start is perhaps the most important part of driving, we feel that anchoring is perhaps the most important skill you can and should acquire in boating. Anchoring a boat can be a lovely dance in a harbor, or a painful and often embarrassing display of Homo sapiens’ inability to plan or communicate. We will endeavor to help you find a combination of tackle and technique best suited for your circumstances when anchoring your vessel. By outlining how different anchors work, the pluses and minuses of different adjunctive pieces of equipment, the current thinking about how to deploy this equipment, and how to select an anchorage, we hope you will be armed with enough information to make some informed decisions about what might work best for you. Good practical information. 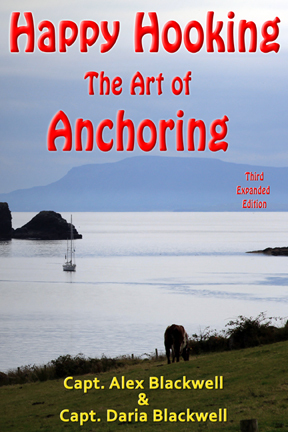 This really helped with understanding the basics of anchoring. We are first time boaters that love to anchor out and enjoy. Highly recommended.